Over the holiday weekend, another batch of malicious apps were found in the official Android Market. According to the Lookout Security Blog (who, it should be disclosed, makes an anti-malware product for Android), at least 34 applications have been infected with a variation of DroidDream, the same malware found in the Android Market back in March. 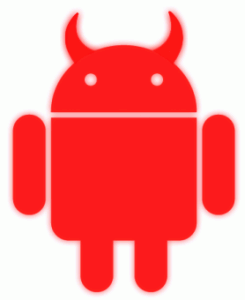 Researchers are calling this iteration of the malware “DroidDreamLight (DDLight)”, and expect that between 30,000 and 120,000 users have already been affected by the malicious apps. DDLight begins its trouble-making upon receipt of an incoming call, rather than waiting for the user to manually launch the application. From there, the malware grabs the IMEI, IMSI, model, SDK version and other information about installed packages, and can seemingly download and install other applications (though not without prompting the user). As it currently stands, malware like this is a mostly unavoidable caveat of open (read: loosely regulated) markets like Android’s. It’s the unfortunate wart hiding amongst Android’s many strengths. For now, we’ll just have to hope that Google and the security research firms out there stay vigilant in weeding out these baddies quick.